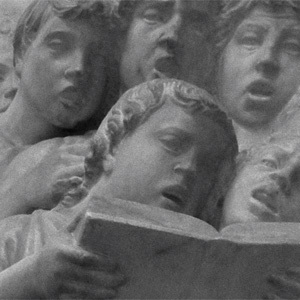 (DEMO: intro (ad lib) - hymnal verse - descant verse) Free score. WINCHESTER NEW is neither new, nor in any way related to Winchester. Its etymology is not even a single tune, given that since its 1690 emergence in a north German hymnal, Musicalisch Hand-Buch der Geistlichen Melodien, it has been adapted to varying meters. It came into its English form and its current meter (8.8.8.8, or LM) in 1742, published in the seminal edition A Collection of Tunes Set to Music as they are commonly Sung at the Foundery, edited by John Wesley. He named it SWIFT GERMAN TUNE, but it acquired other names (and meters) until it emerged as WINCHESTER NEW with William Henry Monk's harmonization in Hymns Ancient and Modern (1861); the finished harmony was refined in the fires of The English Hymnal (1906). The earliest form of the tune is anonymous, though it is frequently misattributed to a hymnwriter who wrote a text that was sung to a variant of the tune. On Jordan's bank was written in Latin - Jordanis oras praevia - by the French hymnodist Charles Coffin (pr. sharl co-fenh) and published in the Paris Breviary (1736); it was translated by John Chandler a century later, in English along with the Latin (The Hymns of the Primitive Church, 1837). The original was six verses, but H&AM compressed it to five. This resulted in alterations made by unnamed 'others,' and the liberties taken with the Latin in what are now the final two verses are evident.